This book is about Little-Willy and his grandfather and Willy’s partner Searchlight. Little-Willy is going to join the dog-sled-race with Searchlight to help his grandfather’s problem who has a disease. His rival is going to be an Indian called STONEFOX. 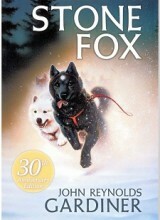 I chose this book because I like dogs and there was a picture of a dog on the cover. The other reason is because I’ve never read books about a dog-sled-race. I think people who don’t like to read can read it easily because it doesn’t have so many difficult words and it’s a short story. Picture from: “Stone Fox.” Tribes Learning Community. N.p., n.d. Web. 20 Sept. 2013. <http://tribes.com/store/stone-fox/&gt;. was 39 years old , but he did many things that changed the United States. were discriminated against white people. I saw my friend reading this book, and she said it was a really good book. When I saw this book the second time in the school library, I decided to give this book a try. I read it over the Winter break, and I have to agree with my friend, this book is extremely good. Miranda, the main character, starts getting mysterious notes from someone. On those notes were odd comments and orders, telling her to write a letter to the unknown sender. The messages lead up to an extraordinary event, and it changes the way Miranda sees life. If you want to get the most out of this book, you should start by reading “The Wrinkle in Time,” since this book has a connection to that novel. Please read this book, it will reinforce your idea of time travel as miraculous!!! I’m interesting in world warⅡform when I was Grade 2. My teacher taught me about “Anne Frank” After that I looked for biography book at library. I am too young to read long book about Anne Frank, so first I read comic book. I wanted to go Germany to look Anne’s hometown. I like Anne’s gut and her personality. She thought about the world until she died. So I wanted to read Anne’s Diary in English this winter holiday. I was disconsolate when I read this book. Moreover I got courage to live. Anne Frank is Jew girl who lived in Germany. But World War Ⅱwas started in 1939. So that Anne’s family needed to escape to Poland. They lived in refuge with other family. They couldn’t go anywhere. Finally Anne’s family was founded. Anne dead in accommodation because of typhoid. Anne’s fatter, Otto Frank published Anne’s diary. I read this book when I was 13 years old. I got moved my impression. The story is about the twins evacuating to their grand mother’s house who is called “The witch”. This book wrote people try hard to live in war period and dark-side of human. Bruno is a 9-year-old boy growing up during World War II in Berlin with his parents and his 12 year old sister named Gretel. His father is a high-ranking officer who, after a visit from Adolf Hitler, he got promoted to be a Commandant. It made the entire family to move away to a place called Out-With which turns out to be Auschwitz. When Bruno gets there, he feels sick after leaving behind his family, grandparents, and his 3 best friends for life. He is unhappy with his new home. It only has three floors, there are always soldiers coming in and out of the house. Bruno is lonely and has no one to talk to or play with and the house is so small that there is no exploring to be done. However, one day while Bruno is looking out of his window he notices a group of people all wearing the same striped pyjamas and striped hats or bald heads. Since he is a curious child, Bruno asks his sister who these people are, but she does not know. His father tells him that these people are not real people at all, as they are Jews. There is also a soldier called Lieutenant Kurt Kotler who is violent in his ways to the Jewish prisoner, Pavel. Pavel works around the house and is always treated badly by Lieutenant Kotler. One day Bruno falls off his swing and Pavel helps him with the wound. Bruno asks if his mother should take him to a doctor, but he replyed saying that he is a doctor. Bruno finds out he is not allowed to explore the back of the house or its surroundings, but due to the combination of curiosity and boredom, he decides to explore. He spots a boy on the other side of the fence. Excited that there might be a boy his age, Bruno introduces himself and finds out Jewish boy’s name is Shmuel. He was taken from his family (his father came with him, his mother and his siblings are at home) and forced to work in Auschwitz. Almost every day, they meet at the same spot. Soon, they become best friends. Bruno and Shmuel even shared the same birthday. They are basically the same person born into different circumstances, one a Jew, the other a German. Bruno’s mother persuades his father to take them back to Berlin after a year at their new home, while the father stays at Auschwitz. The story ends with Bruno about to go back to Berlin with his mother and sister on the orders of his father. As a final adventure, he agrees to dress in a set of striped pyjamas and go in under the fence to help Shmuel find his father, who went missing in the camp. The boys are unable to find him. Then the boys are mixed up in a group of people going on a march. Boys doesn’t know where the march will lead. However, they are soon crowded into a gas chamber. 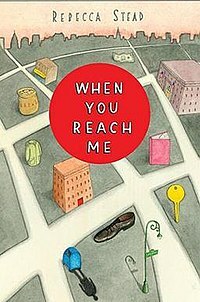 This book is about Brain, a thirteen year old boy who get stranded. He was on a plane to go meet his parent. He receives a present from his mother which was a hatchet with a leather holder. He had no idea how much the hatchet would help him. The hatchet saved his life. For example, the hatchet made fire, made a houses, and many other things. If you want to know how he survived and if he survived, please read this book. Also, you should read this book if you like survival and adventure.